UNESCO provides statistics on global literacy efforts: More than one out of six of the world's adults are illiterate, two thirds of them women. Those who are illiterate and their children are likely to encounter a bleak future with limited opportunities. Among the 122 million who are illiterate worldwide, 60 percent are women. 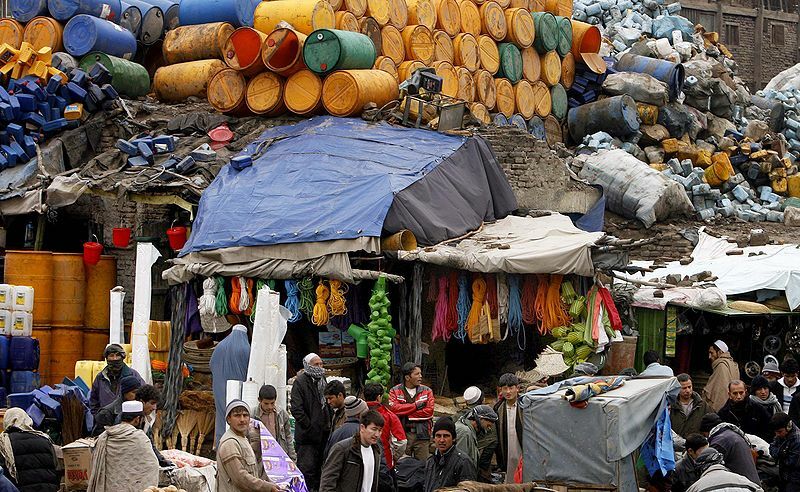 The statistics are stark in Afghanistan, where going to school can be a dangerous venture. So about 40 percent of the men and 12 percent of the women were literate in 2000, according to The World Factbook of the CIA. 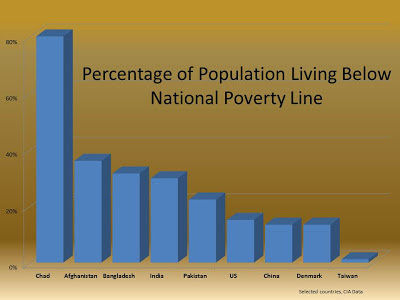 UNESCO monitors populations, but of course, there is a lack of reliable cross-national data on literacy. And lands with high rates of illiteracy are often too dangerous to monitor. "Literacy contributes to peace as it brings people closer to attaining individual freedoms and better understanding the world, as well as preventing or resolving conflict," explained UNESCO on Literacy Day this year. "The connection between literacy and peace can be seen by the fact that in unstable democracies or in conflict-affected countries it is harder to establish or sustain a literate environment." 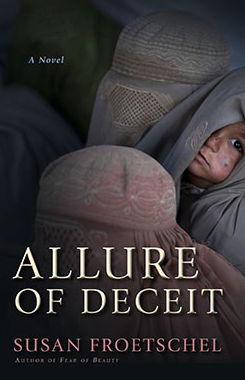 Fear of Beauty is about a rural Afghan woman who always wanted to read, but becomes desperate after her son dies in a fall and she finds a paper nearby. She begins by picking out words in her family's Koran, but soon realizes the process will go much more quickly with a teacher. And yes, literacy empowers her. 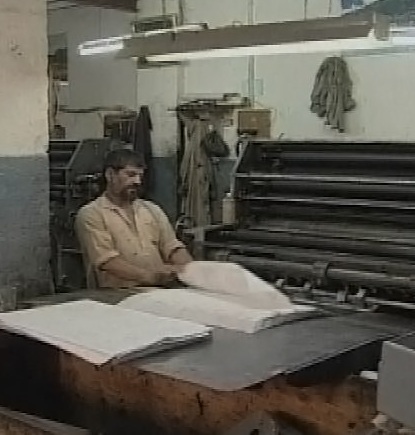 Photo of Kabul book press in 2002, courtesy of US Department of State and Wikimedia Commons. GIS software is useful for any industry, allowing police, public health workers, journalists, weather forecasters, educators, researchers and planners of all types to pinpoint details on a map and show areas of need. The software can take thousands, millions of data points, rendering them instantly understandable with one glance. The US Army Geospatial Center, US Army Corps of Engineers, maps out terrorist incidents in Afghanistan. "The map examines civilian casualties due to acts of terrorism in Afghanistan from 2004 to 2009." Unfortunately, we noticed that the beautiful map has since been removed, but its creator relied on the style of maps from the 1930s and 1940s, found in the US Library of Congress, depicting a contemporary conflict with the most modern of technology. The uses of ArcGIS are many. For example: "The World Bank sees GIS as vital for addressing poverty and climate change," notes the website for Esri, the company that makes ArcGIS. "The World Bank Institute's Innovation Team has geocoded and mapped more than 30,000 geographic locations for more than 2,500 bank-financed projects worldwide under its Mapping for Results initiative," writes Rachel Kyte, vice president for sustainable development at the World Bank. "All new World Bank projects are now georeferenced to ensure that development planners can track and deliver resources more efficiently and effectively and avoid work duplication." GIS maps come in all colors and styles. And just as there is a Peace Corps, there is also a GISCorps. GIS changes how we see our world, and of course it had to make an appearance in Fear of Beauty. Partial GIS map, showing coal resources in north Afghanistan, courtesy of the US Geological Survey. 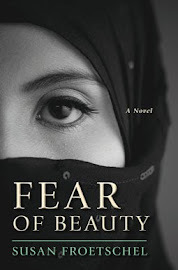 Sign up to receive a free review copy of Fear of Beauty through the Goodreads Giveaway. The contest ends December 1. During the US presidential debate, in addressing questions on the Middle East, President Barack Obama mentioned three times that religious minorities must be protected. Understanding the nuances in the region is essential. Sometimes minorities abuse power over majority populations, as is the case in Syria. Sometimes majorities abuse power over minority populations. "Understanding the sects and their tensions is crucial in crafting any foreign policy for the region," I wrote for The Washington Post's On Faith blog. Tolerance of others' beliefs, provides security. Extending respect for those not in power provides security. As James Madison noted, "In Republics, the great danger is, that the majority may not sufficiently respect the rights of the minority." He also warned that tyranny and oppression arrive in the guise of fighting a foreign enemy. Good advice for any country. Examining the State Department's notes on percentages of Shia and Sunnis in the region - 35 percent Sunni and 62 percent Shia in Iraq; 9 percent Sunni and 89 percent Shia in Iran - along with a glance at a map, makes one wonder what the Bush administration was thinking when it decided to invade Iraq in March 2003. Can a divided US and a divided Iran come to agreement over casting transparency on Iran's nuclear program - allowing inspectors inside Iranian research facilities to determine if the program is related to weapons capability? The two nations agree on one point: There are no plans for post-election talks to end the stalemate. "The United States has been working with the P5+1 to pressure Iran on its nuclear program, but with few results," reports Yeganah Torbati for Reuters. "The United States and other Western powers allege that the program is aimed at developing nuclear weapons, but Tehran says it is purely peaceful." Expect the reports on secret plans talks to spark rancorous exchange during the third and final presidential debate in the US. "The American people may not have a binder full of women at the moment, but we have a binder with two resumes in it," Virginia Hefferman writes for Yahoo News. "And, as we do every four years, we get to decide who gets hired." 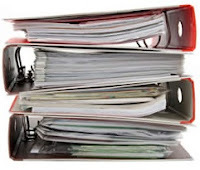 I must admit, the comment on "binders full of women" during the presidential debate only caught my attention as hyperbole. But subsequent analysis of the comment - and the entire debate - has been adept, exposing corporate executives' desire for desperate and marginalized groups of employees willing to work long hours for less than a fair wage. Government can help some, but individuals must refuse to play the game. Walk away from the binders and the labels. Photo courtesy of The Writing Range. "No acts of terror will ever shake the resolve of this great nation, alter that character, or eclipse the light of the values that we stand for." MITT ROMNEY: There were many days that passed before we knew whether this was a spontaneous demonstration, or actually whether it was a terrorist attack. BARACK OBAMA: The day after the attack, governor, I stood in the Rose Garden and I told the American people in the world that we are going to find out exactly what happened. That this was an act of terror and I also said that we're going to hunt down those who committed this crime. "Remarks by the President on the Deaths of U.S. Embassy Staff in Libya." "Acts of terror" can only mean Libya. Those who suggest otherwise - their disrespect for the presidency, petulantly and desperately trying to remove meaning from words - are doing their candidate, Mitt Romney, a grave disservice. 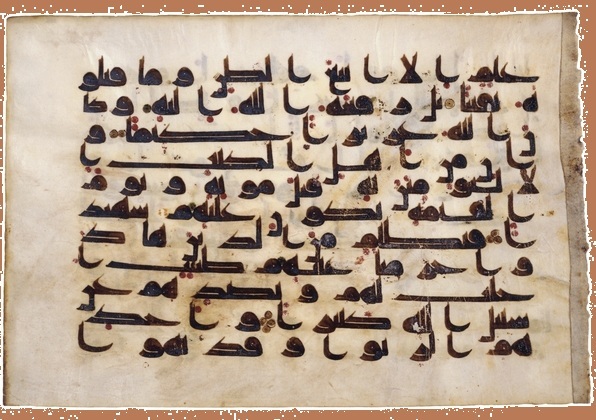 "Online translations and interpretations from American universities and beyond are plentiful... Because of that curiosity, along with the intense conflicts over faith in the modern world and the passion of adherents, audiences can expect to see more references to the Koran in politics and media discussions – and even as a central theme in films, novels and art." 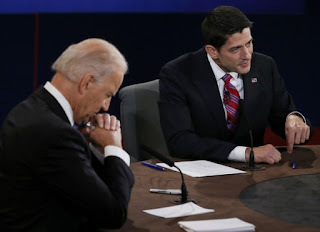 The guest blog noted that the vice presidential debate made mention of the Koran and not the Bible. Moderator Martha Raddatz posed the question to Congressman Paul Ryan: "I want to ask you about - the Romney campaign talks a lot about no apologies. He has a book called No Apologies. Should the US have apologized for Americans burning Korans in Afghanistan? Should the US apologize for US Marines urinating on Taliban corpses?" Rayan's reply: "Oh, gosh, yes. Urinating on Taliban corpses? What we should not apologize for..."
Ryan: "What - what we should not be apologizing for are standing up for our values. What we should not be doing is saying to the Egyptian people, while Mubarak is cracking down on them, that he's a good guy and, in the next week, say he ought to go. What we should not be doing is rejecting claims for - for calls for more security in our barracks, in our Marine - we need Marines in Benghazi when the commander on the ground says we need more forces for security. There were requests for extra security; those requests were not honored. Look, this was the anniversary of 9/11. It was Libya, a country we knew we had Al Qaida cells there, as we know Al Qaida and its affiliates are on the rise in Northern Africa. And we did not give our ambassador in Benghazi a Marine detachment? Of course there's an investigation, so we can make sure that this never happens again, but when it comes to speaking up for our values, we should not apologize for those. Here's the problem. Look at all the various issues out there, and it's unraveling before our eyes. The vice president talks about sanctions on Iran. They got - we've had four..."
The conversation then moved to Iran. Some argue that Ryan specifically dodged endorsing apologies for mistreatment of the Koran - "finessed" and "pander" in the words of Robert Dreyfuss for The Nation. I do not agree, and believe his response, "Gosh, yes" covered both examples. He simply repeated one of the two choices, certainly the act regarded as more heinous in American culture. The Koran burning by Marines was undoubtedly an honest mistake. The debate did not mention the Bible, though certainly great attention was devoted to Catholic doctrine and the candidates' descriptions on the role their Catholic faith played in developing their separate personal views on abortion. It's my observation that Catholics tend to lean less heavily on the Bible as a source for guidance than interpretations from the Pope and their own individual consciences. 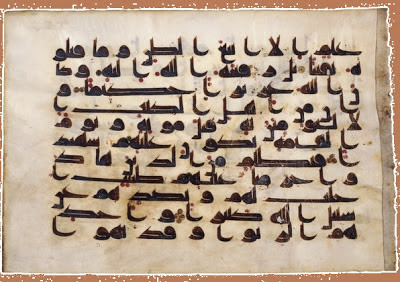 In the end, my point was that curiosity from others is an honor and should be welcomed: "The forays into studying, discussing, dissecting the Koran will include mistakes and misunderstandings. Artists of all types will test the boundaries. But that curiosity signals the ultimate desire for empathy, respect and desire for connections." "There are no moderates in Iran," morning show host Joe Scarborough said today. Less than 10 minutes later, he was smart enough to backtrack by noting, "The moderates are not in power." His first comment rankled. Once a writing instructor, I regularly warned students against using "all," "none," "always," "never." Such words are hyperbole and immediately invite your readers to hunt for the one exception. But such words are common in television talk shows and newspaper opinion essays. Massouda Jalal wrote an op-ed for The Wall Street Journal in December 2011, entitled "There are no moderate Taliban": "Seeking to negotiate with an implacable enemy could be seen either as foolish or foresighted. The West obviously sees a deal with the Taliban as essential to its transition, and therefore a pragmatic step. But this faith in negotiations appears to be based on the belief that there exist 'moderate' elements of the Taliban, and that they can be coaxed toward supporting constitutional democracy." The sentiment was not new, and many lashed out after President Barack Obama suggested during a March 2009 interview with The New York Times that he would seek out and try to work with "moderate elements" of the Taliban to end the war in Afghanistan. "It is their willingness to do deals, in other words, that makes them moderate, not the essential make-up of their beliefs and culture. That said, if they are willing to set aside their adamantine opposition to the infidel West and its puppet, Karzai, they are clearly less purist in their pursuit of an Islamist society than those who would fight to the finish. That makes them relatively moderate, if you like. Or just plain cynical." Yes, women and children will suffer the most if Afghanistan can't achieve peace, if the government cannot deliver law and order. Obama's willingness and the flurry of essays that followed by Varadarajan and others motivated me to find the exception to no moderates and write Fear of Beauty, about a village with people who want their children to attend school but who also appreciate their traditions, accept harsh penalties for violating those traditions, and do not want their lives to change. So what to do about diplomacy? What to say to those who scoff at diplomacy? Diplomacy is a delicate and, too often, time-consuming process. Those who would talk through a problem must study and divide opponents, finding others who may be swayed to end the fighting and pursue peace. Opponents who are ready to think a little differently are there. Women who want to attend school. Taliban supporters who want to engage in trade. Political leaders who want legitimate regional power. 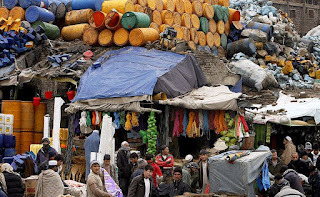 Afghanistan could be a case for aid with a schedule of strict, strict, strict conditions on corruption and human rights. And similar conditions should be imposed on other allies, including Pakistan, where a 14-year-old girl was shot by Taliban for advocating education for girls. Fighting forces opponents to entrench and harden their positions. Trade, diplomacy, education are the enemies to extremism. The war in Afghanistan has entered its 12th year. I'm not suggesting that the moderates and their supporters can succeed in Afghanistan or Iran - that the extremism can be contained. Moderates struggle in the United States, facing vehement attacks within their own political party and communities because they are even willing to consider working with the other side. I can only hope that the aim of hyperbolic language about opponents isn't intended to make it easier to launch an attack. Because there are - and I'll avoid saying always! - moderates in our midst. The top concerns for most voters are jobs and the economy. Yet too many voters tend to box issues, as though the economy is different from health care or Social Security, Afghanistan, the nation’s schools or the housing crisis. And too many politicians ignore the economic implications of these issues. Health care: Voters cannot work if they are seriously ill. Many who are healthy today realize that might not be the case tomorrow. Nearly half of Americans – seniors, veterans, the poor and disabled – are covered by public health. Most people can well imagine the fear of losing their insurance, after a job loss or a medical condition. Yes, the seriously ill can seek care at the local emergency room, but that is not the most efficient form of treatment and hospitals are adept at pursuing payment. Reproductive health: Women and many men do not want to risk new regulations on birth control. Sadly, an unexpected pregnancy during an economic downturn is a nightmare and not blessing. Wars: The Center for Budget and Policy Priorities has estimated that about 15 percent of the deficit can be attributed to the wars in Iraq and Afghanistan. Into its 12th year, Afghanistan is the longest war on record. Investments in diplomacy and non-military foreign aid can reduce wars. Taxes: The Bush tax cuts account for about 30 percent of the deficit. The tax cuts were made without reducing programs. 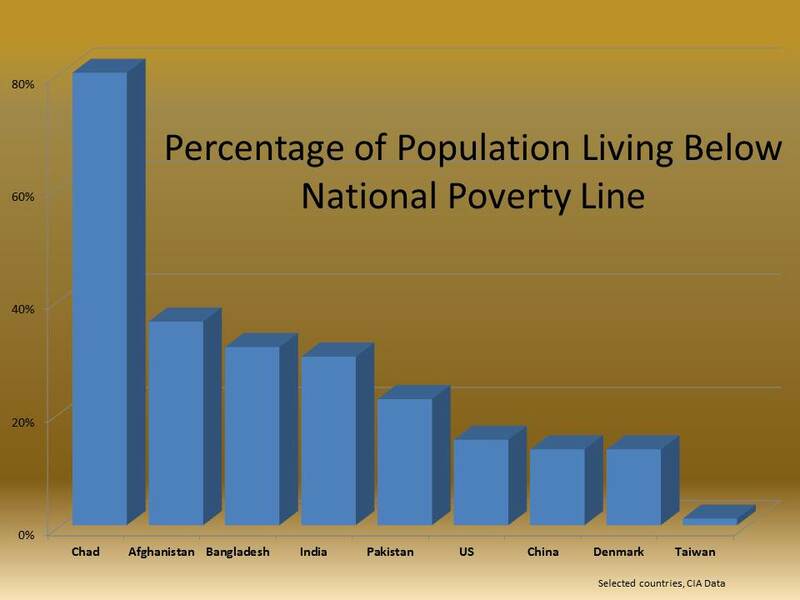 There’s a reason, Americans want many of those programs, especially during a time of need. No leader can both keep the programs and reduce taxes. Income for the wealthiest rose while the income of middle-class went stagnant or decreased. Many voters support tax hikes to reduce the federal debt. The Bush tax cuts had a sunset clause – and so could any tax hikes. Businesses and households with budgets typically want to eliminate debt – and do so by rising prices before reducing service, production or quality. Education: Children who receive a substandard education are more likely to cause social problems. Some may enter a life of crime. Others will become home health aides or serve us in fast-food restaurants and struggle to do their jobs. It’s wrong to put 30 or more children into a classroom with a math teacher who is paid a fraction of she or he could make in industry or a university – and expect high morale, good community relations or academic success. Children are the future workforce and future citizens, and their teachers need safe conditions, training, respect and appropriate wages. Immigration: More people produce growth – they work, buy products and fill houses languishing on the market. Good policymaking, regulation and business could come up with an enforcement system that charges undocumented immigrants a fee. Social Security and Medicare: The elderly depend on these programs, the centerpiece of any retirement planning in the middle class. Candidates who propose any privatization or reductions should be clear just how much people have to save to compensate for reductions. Age cut-offs won’t work among the elderly because they care fiercely about their children and economic health. Younger workers will resist paying for a program that provides for current seniors but is slated to end. Climate Change: The science points to rising carbon dioxide emissions as contributing to volatile weather and rising seas. Ongoing denial will only add to future costs of food, shelter, insurance and business. In the end, voters need to understand the economic implications of every issue. Optimism, confidence in addressing challenges and cooperation do more to boost revenues than criticism, fear and every man and women out for themselves. Photo courtesy of the US Department of Defense and Wikimedia Commons. US Army Spc. Tiffany Larriba teaches counting and English with the Soldier in the Classroom program at Karabti San, Djibouti.